Aim & Scope Archives of Clinical Infectious Diseases is a peer-reviewed multi-disciplinary medical publication, scheduled to appear quarterly serving as a means for scientific information exchange in the international medical forum. 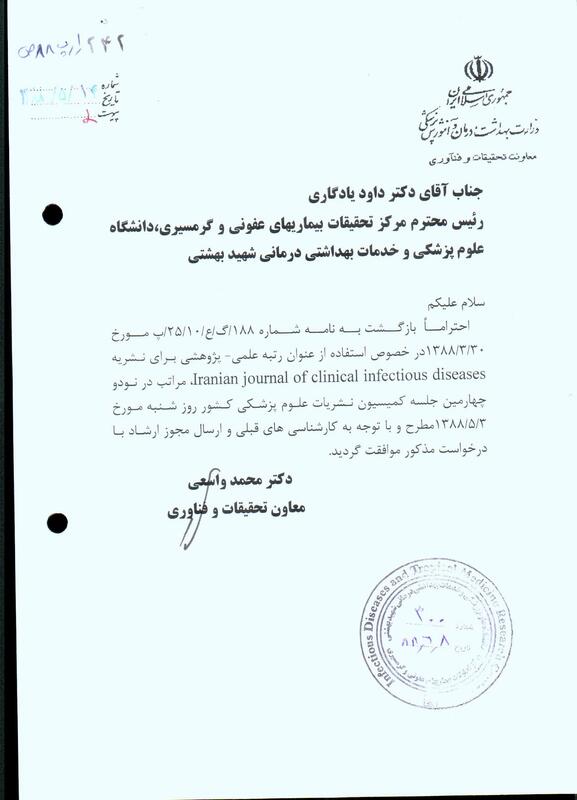 The journal particularly welcomes contributions relevant to the Middle-East region and publishes biomedical experiences and clinical investigations on prevalent infectious diseases in the region as well as analysis of factors that may modulate the incidence, course, and management of infectious diseases and pertinent medical problems in the Middle East. Content Coverage Archives of Clinical Infectious Diseases is an authentic medical journal which its content is devoted to the selected compilation of the latest worldwide and interdisciplinary research in the field of Transplant and Immunocompetent Host, Travel Medicine, HIV/AIDS, Microbiology, Tuberculosis, Tropical and Emerging Infectious Diseases.